CV. 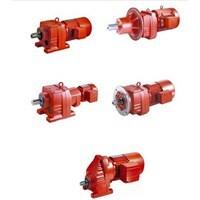 Multi Mas Sell Gear Motor, is a device that can increase torque strength by changing the speed of the dynamo motor. Gear Motor is a combination of mechanical and electrical devices, where the function of the Gear motor is to reduce the speed of the dynamo motor to get greater torque. Our Gear Motor is suitable for all types of applications and can be used in various types of industries such as Mining, Material Handling (Light or Heavy), Cement, Aggregates, Food & Beverage, Power Plants, etc. When you need high torque at relatively low shaft speeds or RPM, CV. Multi Mas Sell Gear Motor is complete to help complete your work. AC Gear Motor can provide enough power to help operate elevators, medical tables, jacks and robotics. 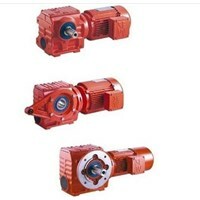 DC Gear Motors are usually used in automotive applications such as power cranes on trucks, windshield wiper motors, electric seats or power windows. Gear Motor is a fairly well-established technology. And recently, there has been renewed interest in Gear Motor, following trends in the integrated system in general. More specifically, rising energy costs are driving demand to improve process efficiency. 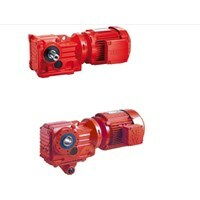 It presents an opening for Gear Motor which can be used in a variety of applications and is a tremendous opportunity for global energy savings. Basically, Gear Motor is a type of gear reducer based around an ac or dc electric motor. Gear and motor are combined into one unit. 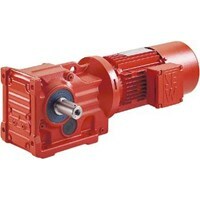 Gear Motor provides high torque at low horsepower or low speed. Speed ​​specifications for this motor are normal speed and stall speed torque. 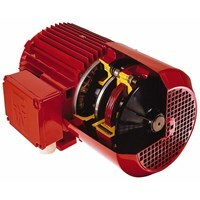 These motors use gears, usually assembled as a gearbox, to reduce speed, which makes more torque available. 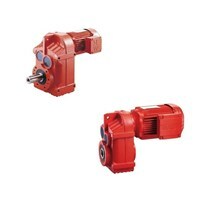 Gearmotors are most often used in applications that require a lot of power to move heavy objects. In general, most industrial Gear Motors use ac motors, usually fixed speed motors. However, dc motors can also be used as gearmotors, many of which are used in automotive applications. Gear Motor has a number of advantages over other types of motor / gear combinations. Perhaps most importantly, Gear Motor can simplify design and implementation by eliminating the steps of designing separately and integrating motors with gears, thereby reducing engineering costs. AC Gear Motor series DT / DV and AC brake motors suitable for standard equipment unit SEW EURODRIVE. Our various variants ensure that we have the right motor for your application, whether you need pole 2 pole, pole 4 pole or pole 8 or pole-change. CV. Multi Mas sells SEW Eurodrive motorcycle gear which has integrated DC security disc brakes. The brake controls are installed in the terminal box as standard, but are also available in the control cabinet version as an option.Benefits:- Various combinations with low noise operations.- Minimal space requirements- The design is flexible and sturdy- The concept of modular productsCV. Multi Mas was established in 1989. Our company specializes in supplying machinery, mechanical and spare parts of every kind of industry such as one of them selling gear motor SEW Eurodrive. Ready to provide solutions to your mechanical problems. Committed to provide the best quality from all over the world with very good price. The helical gear motor unit of SEW-EURODRIVE provides a high efficiency rate of over 96% in both torque directions and at all input speeds. With performance designed to survive with high durability allows high torque and wear-free operation. CV. Multi Mas sells gear motors with highly efficient helical gear motors, you have an energy-efficient corner gear drive at your fingertips.Benefits:- High power density- Long live- 96% efficiency gear unit- Multi-stage gear unit for low output speed- Reduce reply options across all sizesTechnical data- The ratio of equipment unit reduction: [i] 3,98 to 197,37- Multi-stage gear unit reduction ratio: [i] 94 to 32625- Torque output: [Nm] 125 to 50,000 (also reduced backlash version)- Motor power range: [kW] 0.12 to 200CV. Multi Mas was established in 1989. 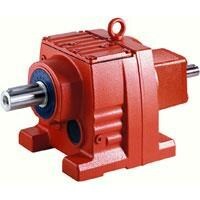 Our company specializes in supplying machinery, mechanical and spare parts of every kind of industry such as one selling gear motor. Ready to provide solutions to your mechanical problems. Committed to provide the best quality from all over the world with very good price. Buat Permintaan Untuk "Gear Motor"
Another benefit of Gear Motor, if measured correctly, is that having the right combination of motor and gearing can extend the life of the Gear Motor and enable optimal power management and use. Also, because Gear Motors are integrated units, they eliminate the need for coupling and also eliminate potential alignment problems. Such problems are common when separate motors and gear absorbers are interconnected and produce more time and engineering costs and potential misalignments that cause bearing failure and ultimately reduce the useful life. Advances in Gear Motor technology include the use of new special materials, coatings and bearings, as well as improved gear gear designs that are optimized for noise reduction, improved strength and better life, all of which allow for improved performance in smaller packages. Conceptually, motors and gearboxes can be mixed and matched as needed to suit the application, but in the end, complete Gear Motor is a driving factor. 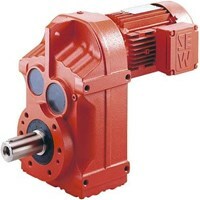 There are a number of motors and gearbox types that can be combined; for example, right angle, planetary and parallel shaft gearboxes can be combined with dc permanent magnet, ac induction, or brushless dc motor. Even though there are a number of combinations of motors and gearboxes available, not just anyone will work for any application. Certain combinations are efficient and cost effective than others. Knowing the application and having an accurate rating for the motor and gearbox is the foundation for successfully integrating Gear Motor into the system.